Left-wing mega-donor George Soros spent $10 million on lobbying in the last three months of 2017 alone, according to newly filed lobbying disclosures. 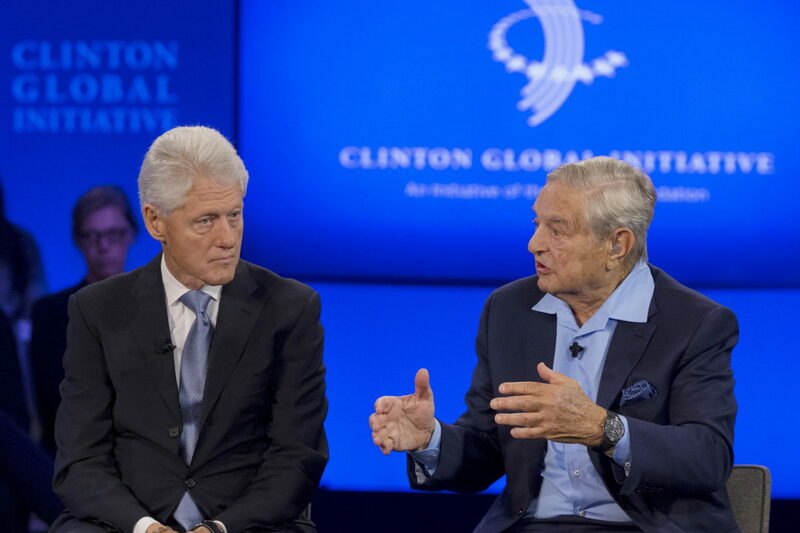 The Open Society Policy Center, the lobbying arm of Soros’s massive left-wing network, spent $10.3 million lobbying on 11 issues (all dealing with foreign policy) between Oct. 1 and Dec. 31, the report shows. Three of the issues listed were bills introduced by Democrats in Congress meant to hamstring President Trump in his dealings with North Korea by withholding funds from any U.S. military action in North Korea without congressional approval. The lobbying dealt with “provisions regarding withholding funds for any U.S. military action against North Korea unless authorized by Congress,” according to the disclosure. The bills, one in the House and two in the Senate, would prohibit the commander in chief from launching a preemptive first strike against North Korea.